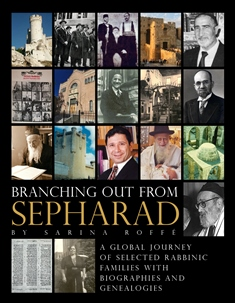 Sephardic Genealogical Journeys works under the philosophy that a family tree is more than just data. It is the stories, documents, biographies of family members, and the photos that bring your family tree to life. This information helps your descendants understand where they came from and develop pride in their heritage. Another addition Sephardic Genealogical Journeys offers is a Relationships Chart – this helps family members know how they are related to each other. For example, how is my first cousin’s grandchild related to my grandchildren? Want other options? Discuss your preferences with Sephardic Genealogical Journeys!